← Sunflower Baby Pattern — Digitized! 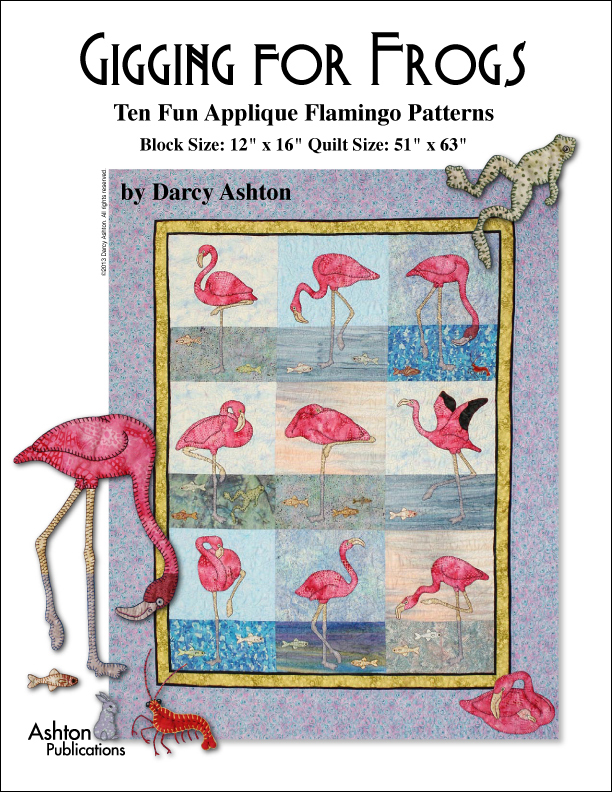 I’ve just finished this new pattern… it is a large scale pattern that includes ten different flamingo applique patterns and several different small critters including fish, a frog, and a shrimp. I’ve got the patterns listed on Etsy and Billie has kits available at Timberlake Quilts. There are lots of pictures and many different ways to make the eyes included in this pattern. The legs are made from two different fabrics that are strip pieced together first, then appliqueed, so that the color changes where they go under the water. 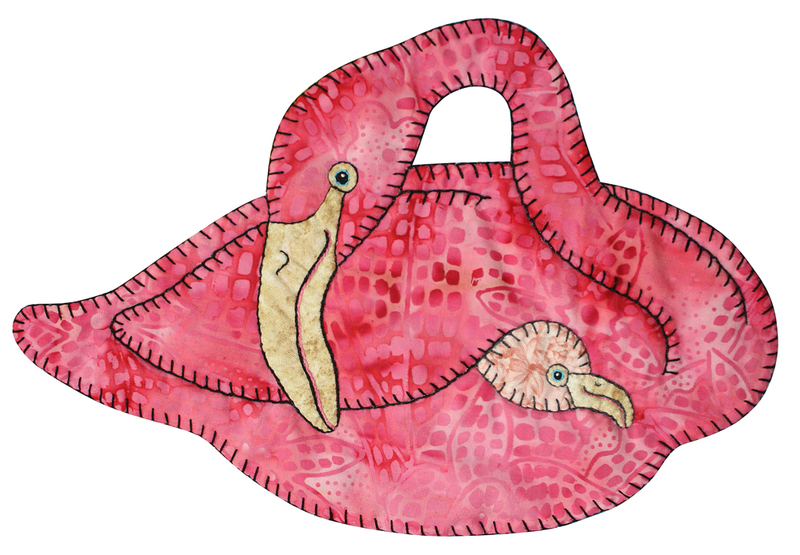 This entry was posted in Etsy, Fabric Kits, Patterns, Timberlake and tagged flamingos, patterns, quilts, timberlake. Bookmark the permalink. What neat flamingos, especially the one down in the corner. We enjoyed the presentation at EQG.